I read an article this week about how CPR is anything like what you see on TV shows and the outcome is sadly not always positive. I want to share the trauma of that moment so that others might consider what they would do in that situation – I certainly didn’t. I’d never performed CPR before, nor had I had training in the procedure. You might recall the adverts on telly with Vinny Jones, who revives a guy with chest compression to the tune of ‘Staying Alive’? Looks simple eh? Well, in essence, it is simple; however, when you add extreme panic and emotional distress to the mix then remembering your own name becomes difficult, let alone trying to save a life. Due to the sudden bleed on her brain, Abi lost consciousness very quickly; her blood pressure dropped and she turned deathly pale and cold. I grabbed the phone by the bed and called 999 with one hand and cradled Abi’s head in my other. I noticed she began to turn blue in her face and body, and saw a blotchy rash appear over her hands and arms. I thought it was meningitis. I screamed and threw the phone at my husband to speak to the woman on the other end. I was screaming for help, I knew this was very, very bad. I began to panic, as I didn’t know what to do or if I could help her. My husband was more able to converse with the 999 lady and he too begged her for help but was able to listen to the instructions. We were told to get her onto the floor, and tilt her head right back, making sure her airway was clear. I then blew two deep ‘rescue’ breaths into her mouth. I blew as much hope and air into her as I could. Her dad then had to compress her chest, I can’t recall how many times, maybe 10 or 20. Doing this brought up blood, a lot of it, an image I find hard to erase from my mind, but we were told to clear her mouth and do the procedure again, two breaths and chest compression. Thankfully, the paramedics arrived at this point and took over… Our efforts seemed rather pathetic at the time, but they gave us some hope, and Abi that slim chance of recovery – we had kept her alive. Knowing exactly when to do CPR is so difficult, but it’s therefore even more important that we should all know how to do this. I recall when she was a baby that I tried to find a local course in basic life-saving (choking and the like), but couldn’t seem to find one, and then life just carried on. Like lots of things surrounding Abi’s death, it’s not till you’ve been in the situation that you realise how important it really is. If we didn’t perform CPR, Abi would have died within minutes. I can’t imagine how I would have felt if we’d not been instructed how to do CPR on her that day, if we’d been in a place with no help and didn’t know what to do. CPR didn’t save Abi’s life; however, during that time on life support we were able to kiss Abi and tell her how much we love her. This extra time with her also gave us a crash course in grief. How to process the fact that our fit, healthy girl was soon to be dead and gone. We spent hours clinging to each other, crying, praying, hoping, so that we were almost prepared for the awful news that was to come. Crucially, too, by performing CPR we unwittingly gave Abi a better chance of being an organ donor. Naturally, once the body stops taking in air and the heart stops beating, the organs start to deteriorate. I remind myself that we helped her to save the lives of four people through donation. I guess when it came to the crunch, we did what we could for Abi, we didn’t go entirely to pieces; we held it together just enough to give her a bit of fighting chance – yet if we’d known more about CPR we may have been able to deal with it with more confidence. Learning CPR ‘on the night’ is not something I’d encourage, and it’s nothing like ‘in the films’. We intend to go on a CPR course, so we feel confident should we need to use the procedure again in the future, but you know, despite enquiring I find it just too hard. I know that once we start doing those actions that terrible moment will come flooding back to me. But I have to get past this somehow, I have to not be scared of remembering. Somehow. Saving a life is more important than my fear of doing it. If you’re interested in finding out more, please visit the website and ideally sign up for training or download the app, you just don’t know when you might need it. This entry was posted in Abigail's passing, Life with grief, Living and grieving, Organ donation, Remembering Abigail and tagged British Heart Foundation, Cardiopulmonary resuscitation, Chest, child loss, CPR, Death, First aid, grief, Vinnie Jones by Chasing Dragonflies. Bookmark the permalink. Well done to you and your husband for listening carefully to the instructions given and trying your hardest. You gave Abi the best chance of survival and couldn’t have known that she wouldn’t make it. You also gave 4 other people an extra chance at life through organ donation and this is an incredible achievement. What a brave and touching story, hard to read. My husband endured similiar experiences with my daughter. Your strength is so admirable and what an incredible blessing Abi has given to others..Her life was such a gift..Hugs to you.. I had no idea that you did that for Abi. I performed CPR on my Gift too. I had been trained, but my certification has expired. I’m so sorry that you experienced this too. But I know that the families that Abi helped are thankful. Such a huge gift you gave. I can totally empathise with your flashbacks and painful memories. We performed CPR on my Dad after a heart attack back in March. 6 people worked on Dad in a narrow hallway for over an hour and it is something that will live with me forever. I still cannot use the hallway to this day without seeing my Dad lying there. I will be undertaking a refresher first aid course soon which I know will be difficult, but it is vitally important. 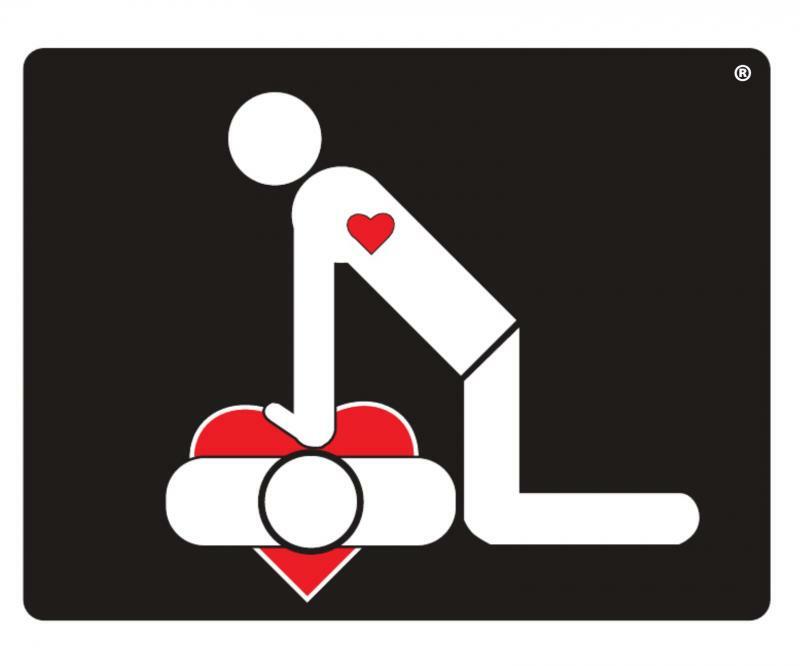 I do know now that I have the confidence to perform CPR on anybody and that is an incredible skill to have. I read this account with interest. I too have had to perform CPR although sadly I never got to find out the ending. It was very scary, and even with all the training I have had over the many years, it still doesn’t prepare you for actually ‘doing it’. Can I make a suggestion? Why not talk to a local organisation (like the Red Cross or SJA, or even Scouts / Guides troops may have their own qualified trainers) and see if they can do you an initial CPR run through on a RescusiAnni in your own home? Just the two of you? Given the circumstances, I am sure they would understand why you couldn’t face a roomful of people. Then, once you have done it at home you may feel you can manage a course with others? You would be able to give very valuable insight to other course participants if you could manage it. I truly hope you are never placed in the position where you need to use this again, and I really feel that child first aid courses should be compulsory during pregnancy (while you can still bend in the middle!). Seems almost trite to comment to say what a good and positive post. Has given me much to think on (I had never even considered the transplant aspect). Thank you for sharing. First aid course is something I have been meaning to take up on since my own moments of panic. Now I will follow up. Can’t imagine what that evening must have been like for you, and (although I know we have little or no choice in these things) marvel at your braveness. So poignant that you had that extra time with Abi (however short) and that you and Abi have made such a big difference to others’ lives and no doubt touched many many more.